How Can I Go Asheville Swiss Chalets? Where is Asheville Swiss Chalets in Asheville on the Map? 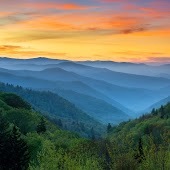 My husband and I recently stayed in the Upper Berne while visiting friends in Asheville. We could not have enjoyed the accommodations more anywhere else. As we prepared meals for our friends, everything we needed was stocked in the kitchen. We were able to sit on the porch and enjoy wine till late, and have coffee in the rockers on the balcony each morning. Days were spent hiking and enjoying the sites. The beds were as comfortable as home ,bathroom stocked with lovely towels and anything else you might need. Washer and dryer allowed us to wash clothes before continuing our road trip. We would recommend anyone to stay here and look forward to coming back ourselves. My only additional request would be an extra bag of the delicious homemade cookies waiting for us upon arrival ! Great place to stay at. We brought our Great Dane with us and we all had a blast. There was even a jar of dog treats on top of the fridge along with a dog bowl and a ball. Each time we opened a cabinet or a drawer we were amazed to see how much stuff there was. There were coffee beans, fully equipped spice rack, a nice knife set, blender, coffee grinder, flashlight, batteries, sewing kit, shampoo and conditioner, body wash, extra towels, robes, etc. There was so much stuff and I felt like we were prepared for anything should the opportunity arise. Thanks so much! My wife and I stayed at the Chalets for our wedding anniversary and it was the perfect place to call home for an extended weekend. The owners thought of everything that we may need for our stay; including bandaids, Neosporin, coffee beans to grind and much more. We enjoyed staying there and if we are back in Asheville we will certainly consider staying there again! My husband and I really enjoyed our stay at the Matterhorn Chalet. We try to travel once a year to a different cabin in various areas so we can explore new territory. We found that this chalet was amazing. There were all of the necessary kitchen supplies, plenty of bathroom towels, etc. They even had band-aids and peroxide available. These are all things that we have had to bring with us in the past. It was nice to arrive to some fresh baked cookies and the book of information of things to do in the area. We will definitely make it a point to go back and stay in these chalets. We had our small dogs with us, and even they felt right at home. We loved the chalet we stayed in -The Zurich. It was very roomy and beautifully decorated. The L shaped couch in the living room was big enough for our 3 dogs plus us 2 humans. The dog area adjacent to the chalet is very large & waste bags are provided. The kitchen is small but fine for 1 cook at a time. Lovely balcony w/ comfortable rockers & a mountain view. We highly recommend. 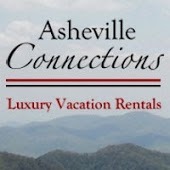 Asheville Rentals on Sunset Mtn.